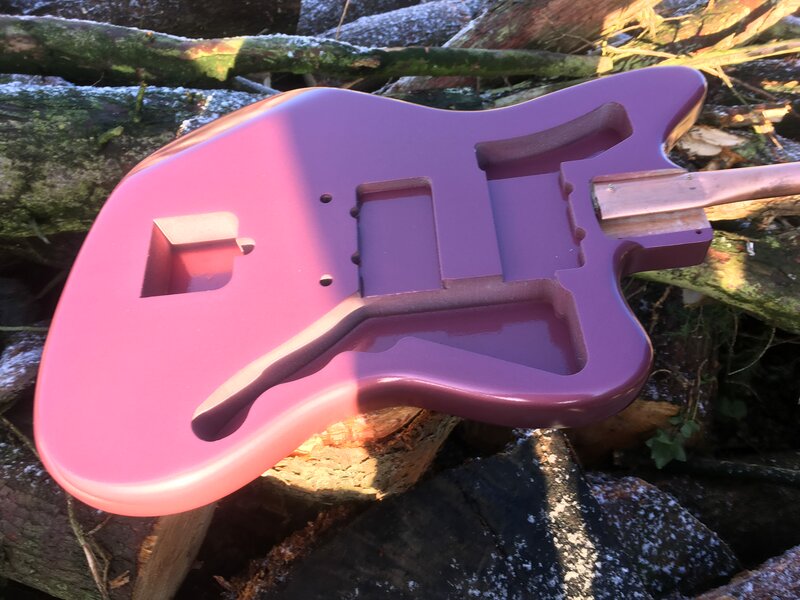 Jazzmaster body, Burgundy Mist - Alder, 1.9kg, fully USA vintage spec. £240 shipped in the UK. 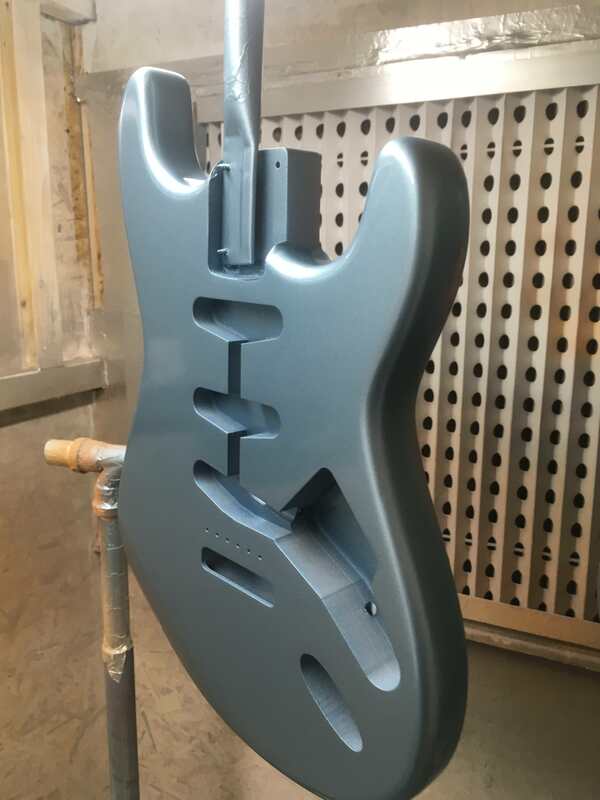 Ready for wet-sanding and buffing. 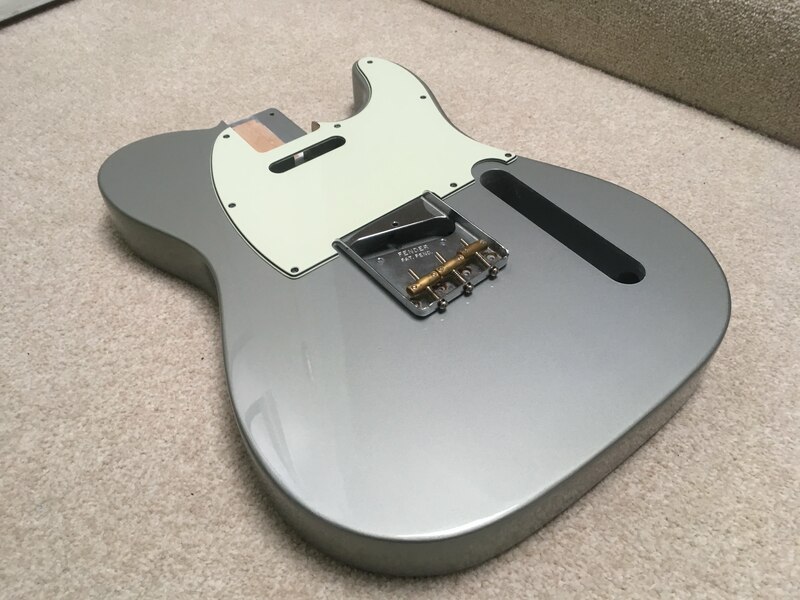 Default will be a factory, high gloss mirror finish, but if you want it and prefer an aged look or light relic you can specify that as I'm just waiting for some abrasives to arrive. 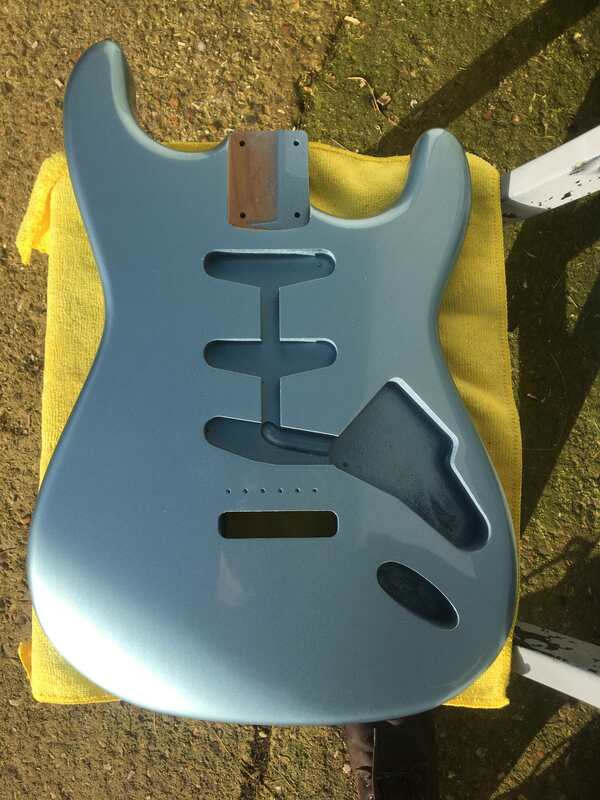 Bear in mind as the final sanding and buffing is yet to be done it will look even better than this! Should be able to get it to you in time for Xmas. 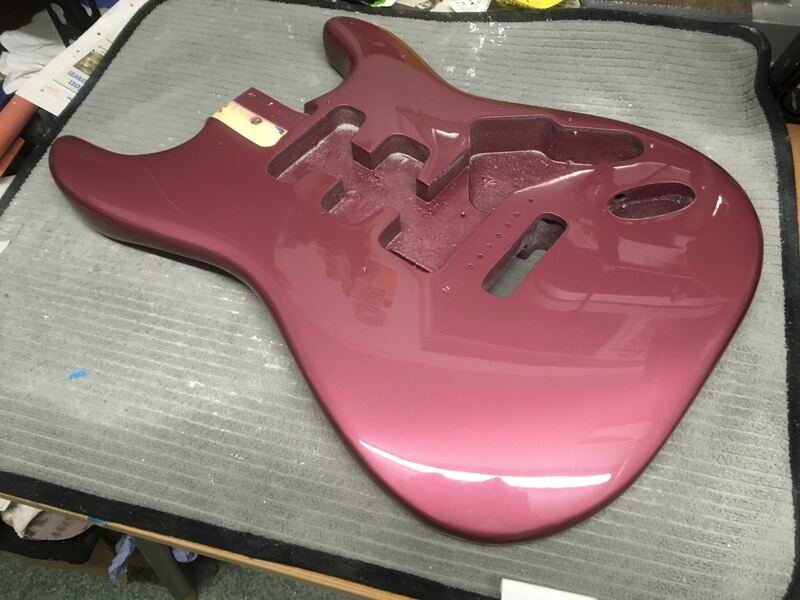 This is the lighter, vintage correct Burgundy Mist, not the darker, purple-toned paint that sometimes crops up. 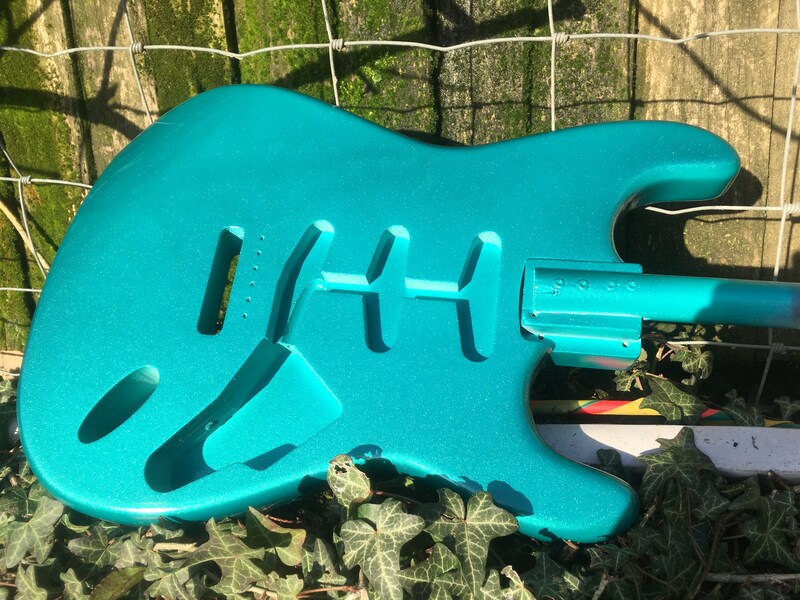 Sherwood Green Strat body, USA 60s routs and contours, Alder - will check weigh today - £250 shipped in the UK. Gorgeous... Proper vintage hue of Sherwood Green. So much flake in this one. 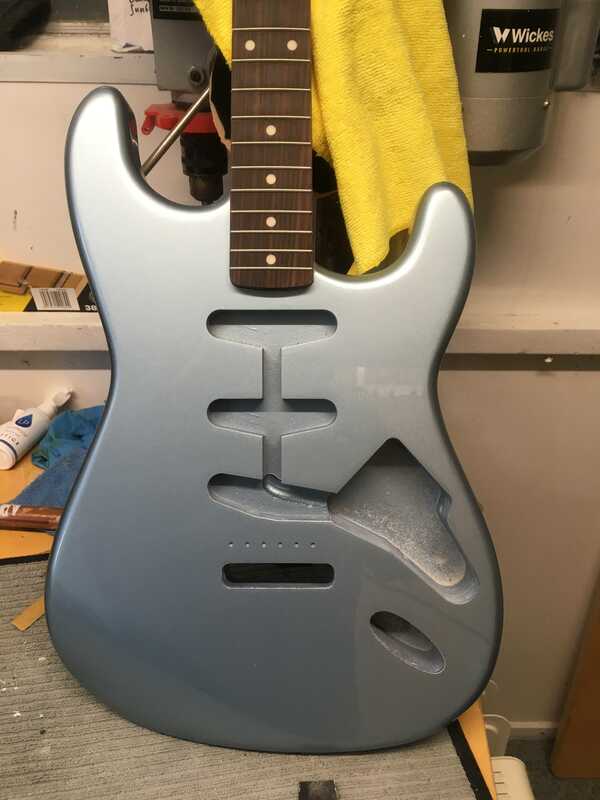 Again, it is waiting to be wet sanded and buffed, so multiple the effect by 10 once that's done! Should be stunning. Thanks very much! Yep hit me up if the need ever arises. 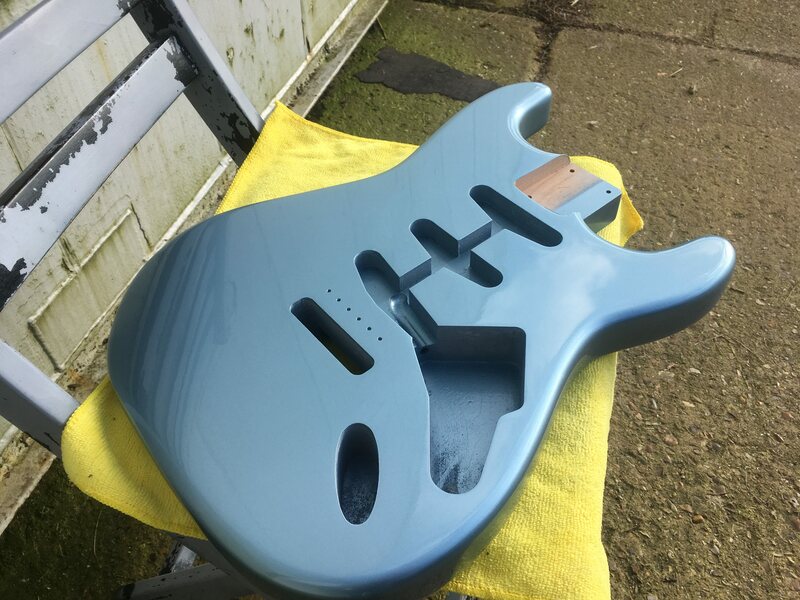 Probably won't be in the spraybooth much over the coming weeks although have a lot to wrap up. 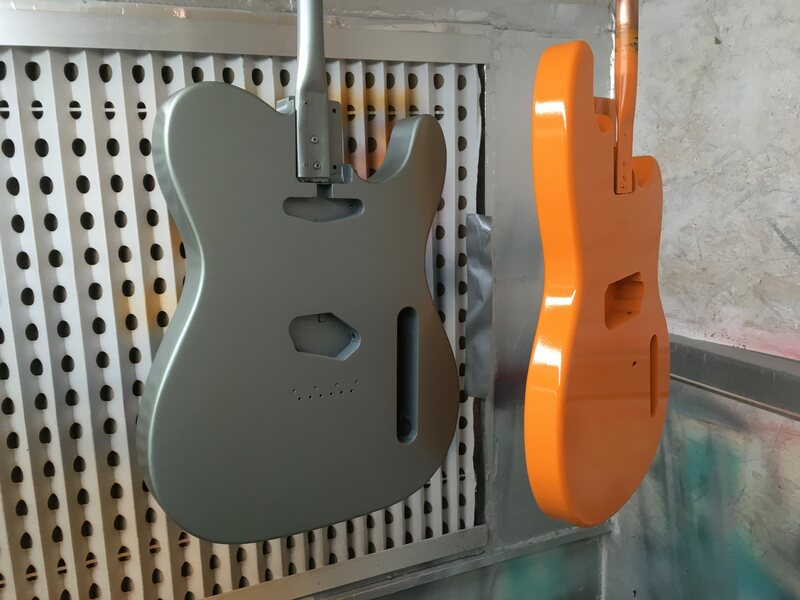 Will do BTW, love the orange - did a similar matte version on one of my recent builds. 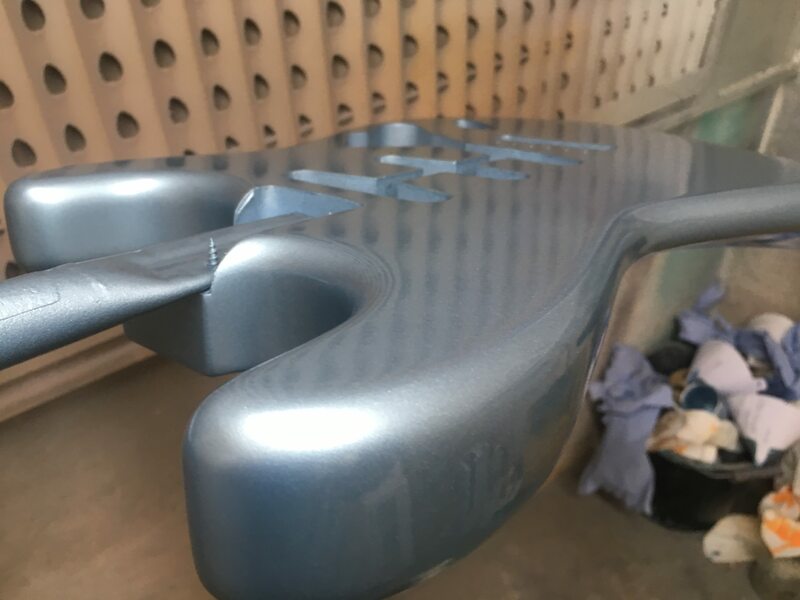 Finishes are looking beautiful there, Rexter. 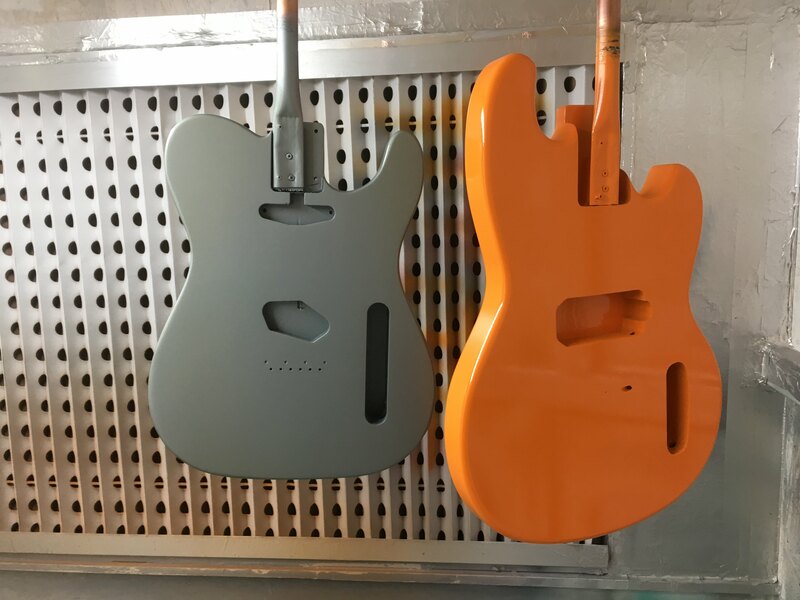 @KempGuitars ;; yep I was just browsing your thread earlier and saw the orange one - looks awesome! and thanks @rze99! will be an update for you after between xmas and New year. 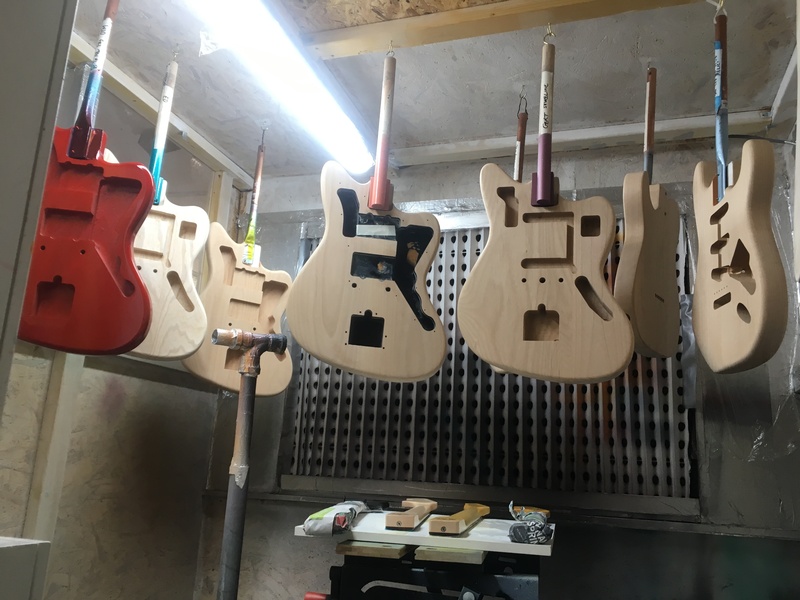 Itching to get to the workshop again. Other things in the way this week. 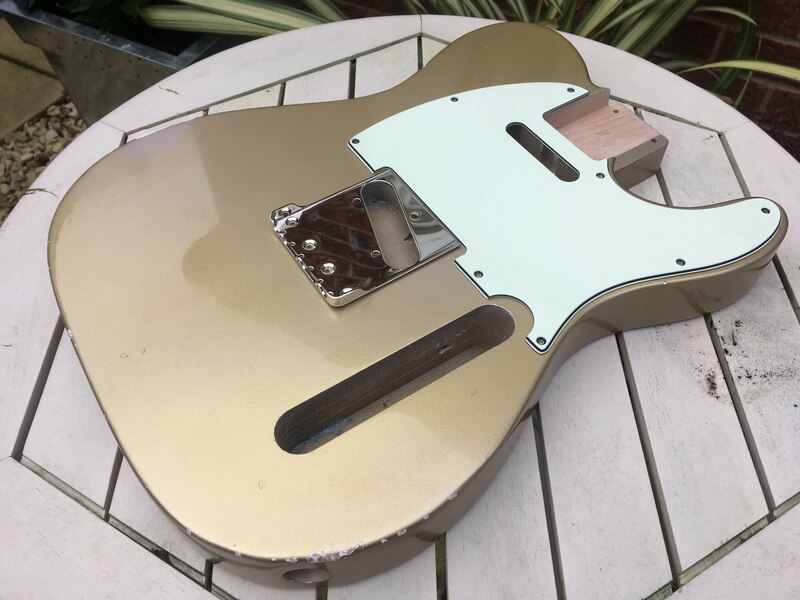 Very cool mate...love the metallics, but not enough ageing for me - how far would you go relic-wise ? 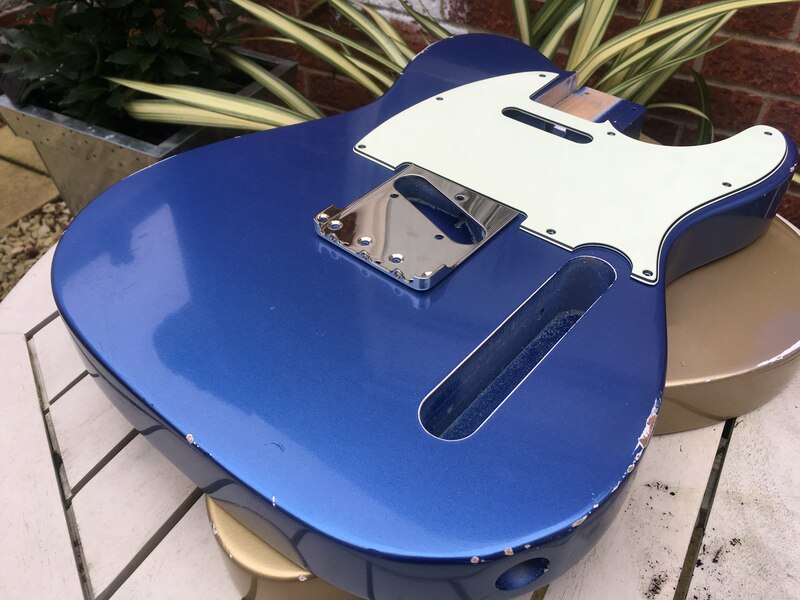 these two teles are done to my personal preference I guess - which is a pretty light relic i suppose. But... relicing has become an art and a style in its own right now and my ultimate goal is customer satisfaction, so at the risk of sounding sleazy, I’ll go as far as anyone wants me to! 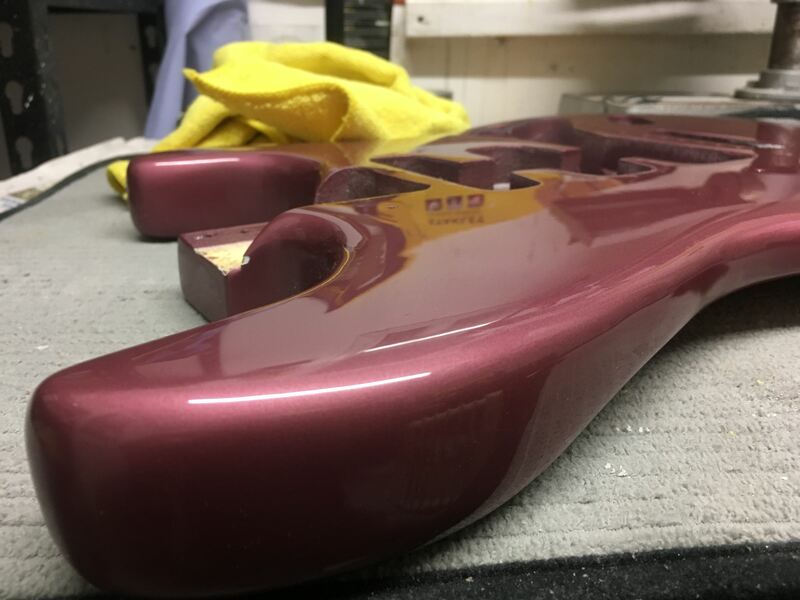 All of my bodies start out with the same level of intensive prep as if they were to sport a factory finish which I think helps keep them looking quite legit. Got to admit it’s sometimes pretty painful to put that first ding on them! Rexter, your stuff looks truly great. I'm a big relic fan, but like a certain amount/location/overall look - I'm picky I guess ! Cheers man! 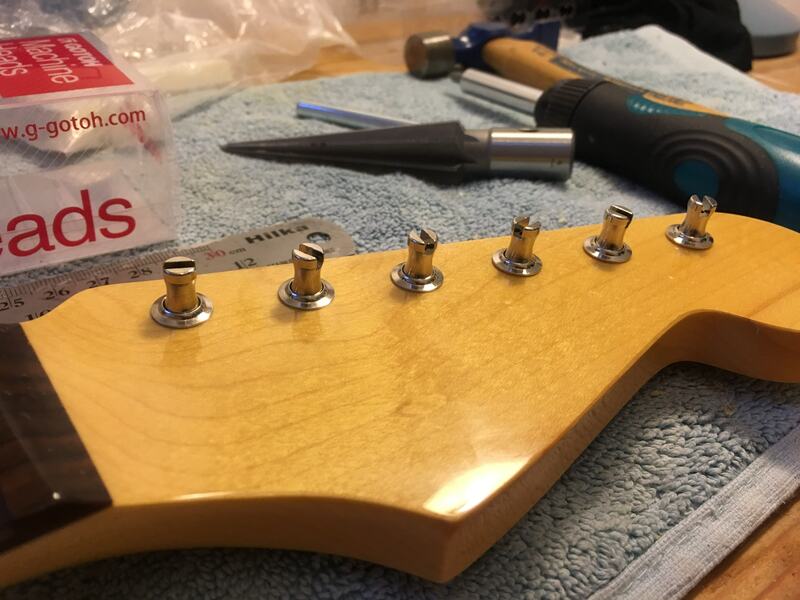 Your last paragraph is partly what made me decide to take this from a long term hobby (sorry, obsession!) to something more. 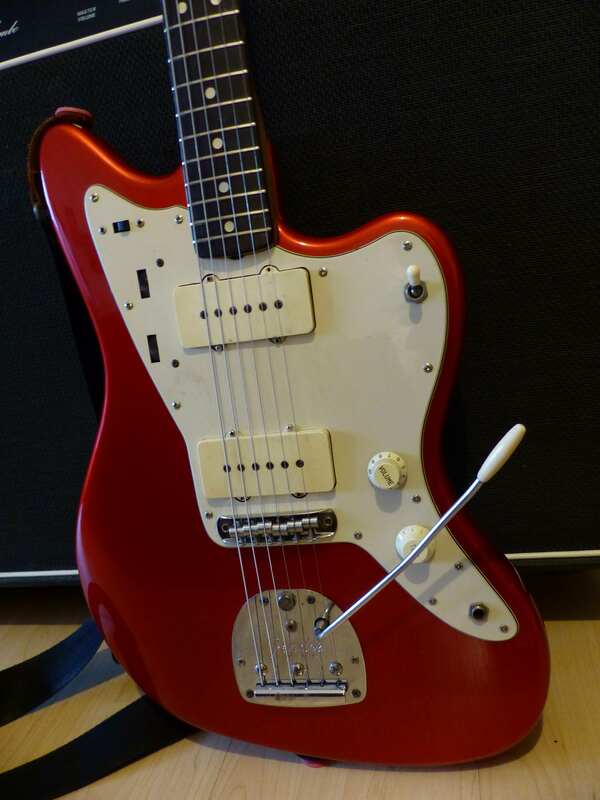 I love MJT stuff/Rutters/Musikraft etc but prices of importing as you say, are now pretty prohibitive so I figured I could offer something similar to UK/EU buyers. Of course I'm not the only one with that thought, so it's a buyer's market now! 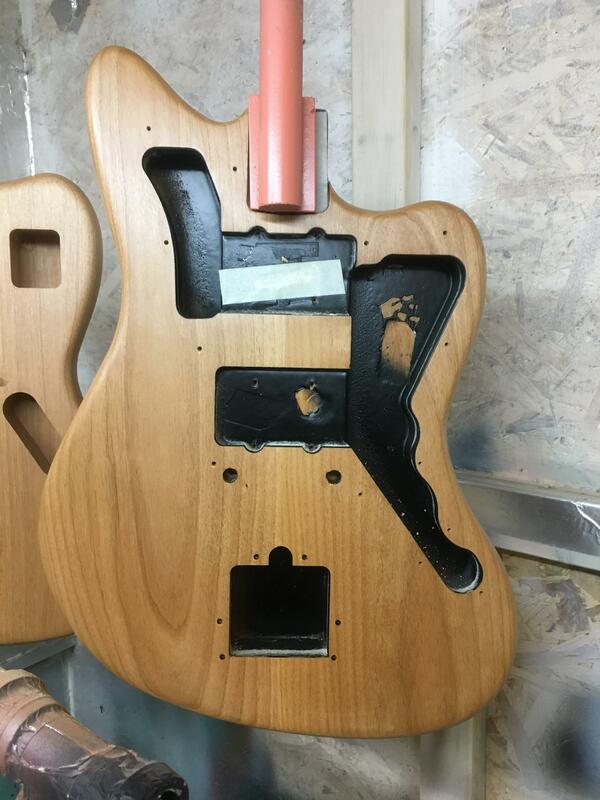 What wood and weight is the LPB tele body? 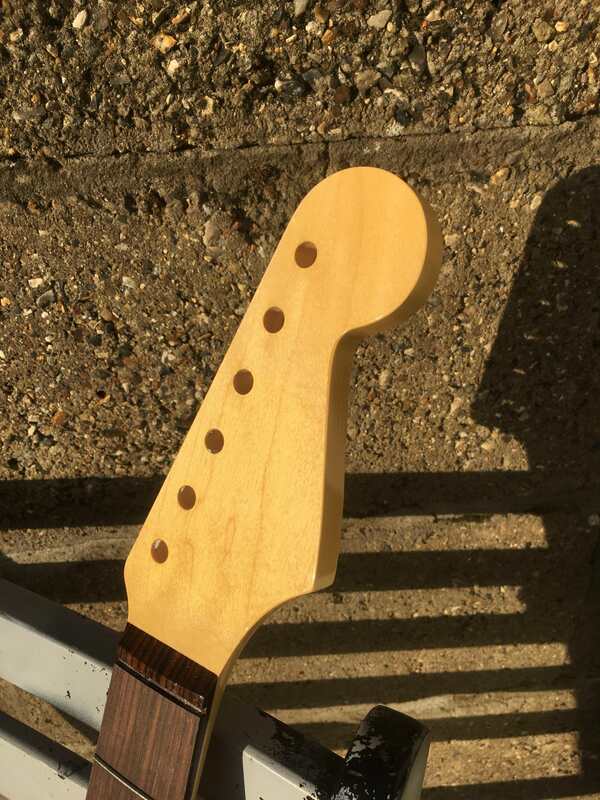 @Chalky ; - it's Alder, 2 piece and 2.2kg. 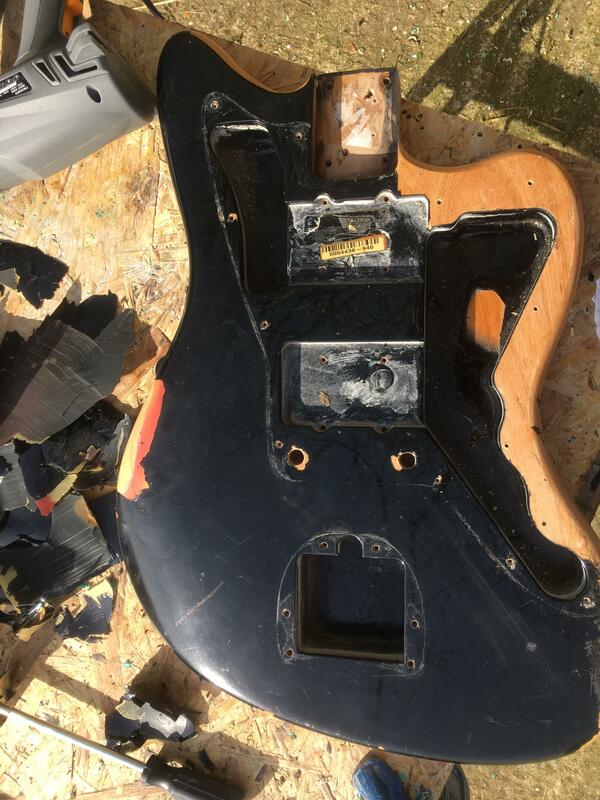 So a little more heft to it then the SHoreline Gold body which is also 2 piece alder but 1.9KG. 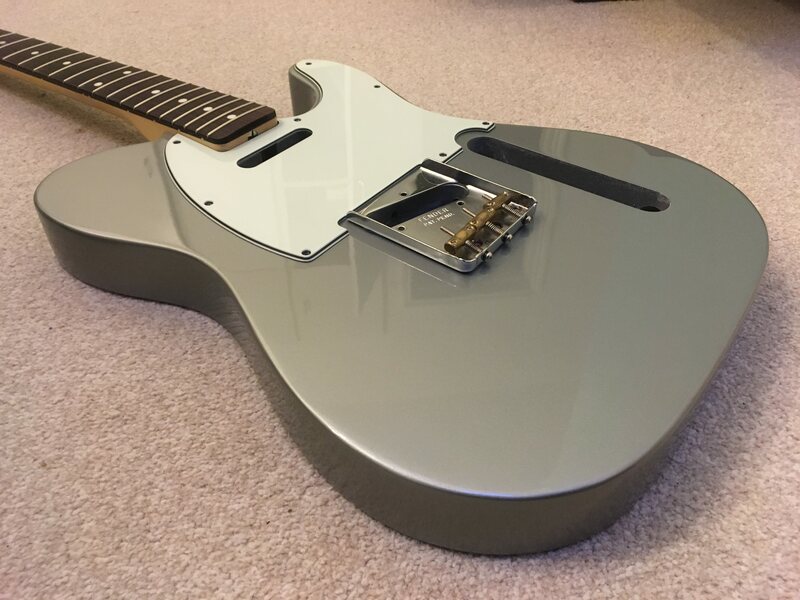 I can't post links to my Reverb.com sales can I? 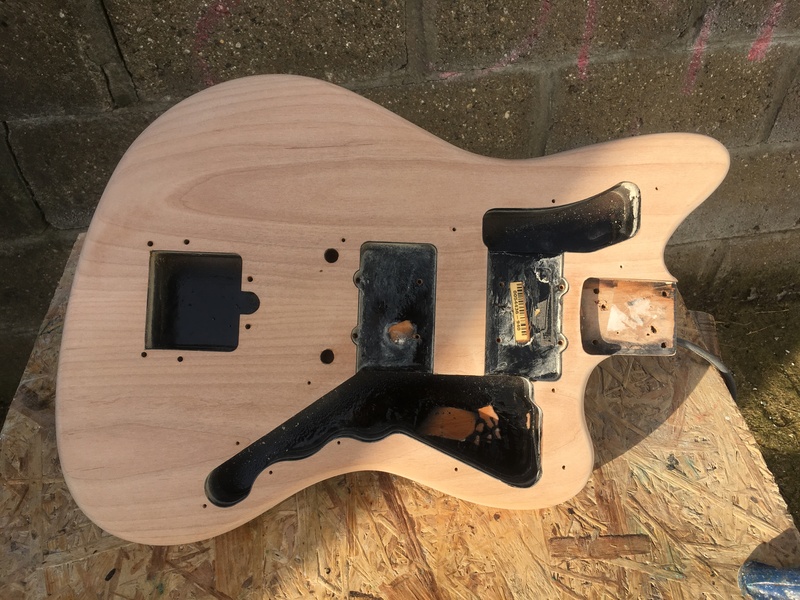 More pics and details there... It's developing some really nice horizontal checking as I keep moving it from a very warm room to the shed. I don't like the compressed air can approach, doesn't look right to me. Looking forward to the supposed 'arctic' temps tonight... very hard to capture it in a picture though, especially out of natural light. 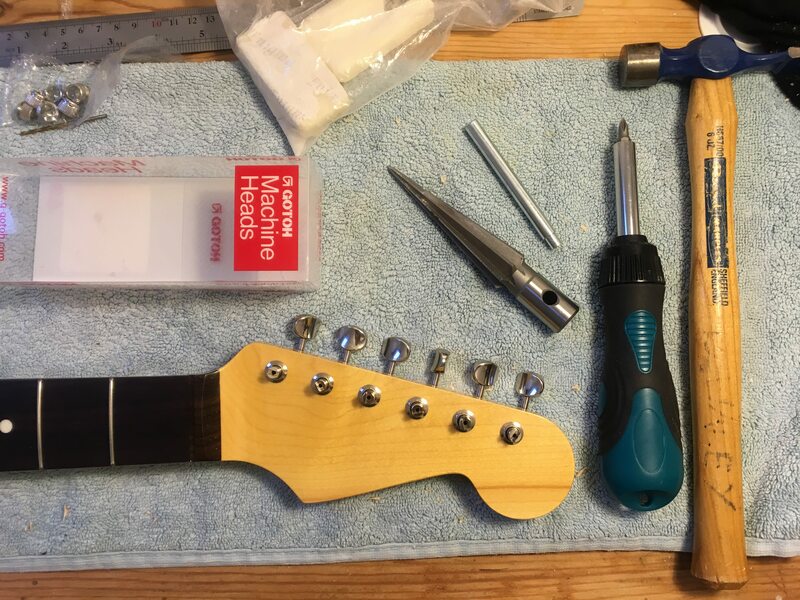 Just sending off this neck to a customer - an Allparts SRO-21 with a delicious light vintage tint and Gotoh SD91s, by far the best tuners for vintage looks and rock-solid reliability. Love 'em! 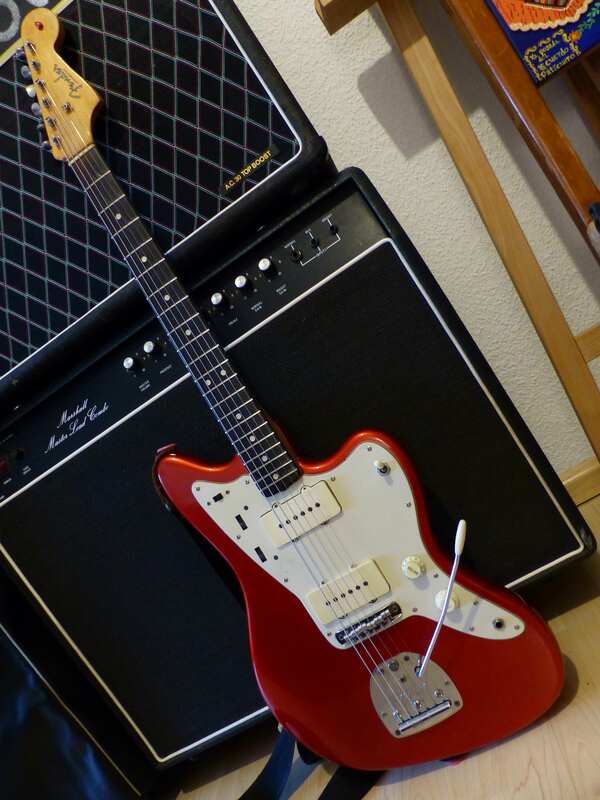 Great choice of tuners, thats what I'd be going for ! 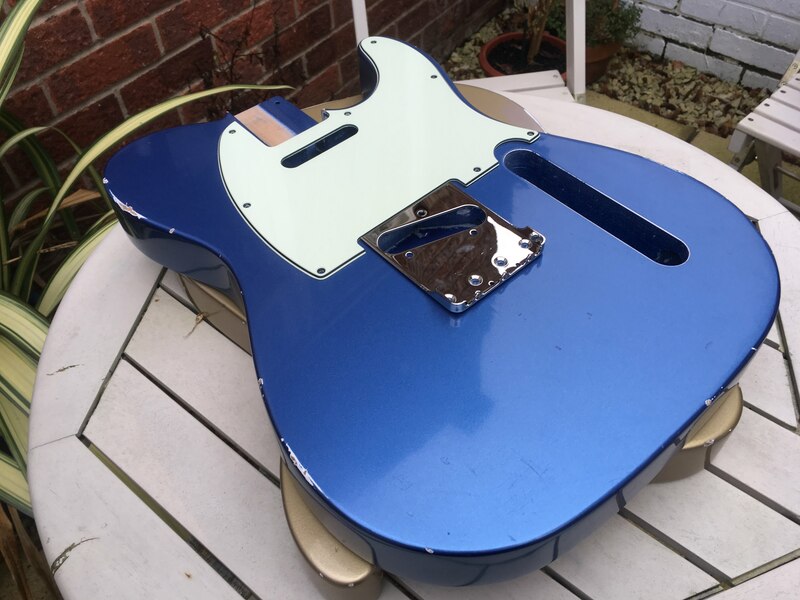 I love ridding vintage guitars of horrible refins and giving them the finish they deserve, drop me a message if I can help you! 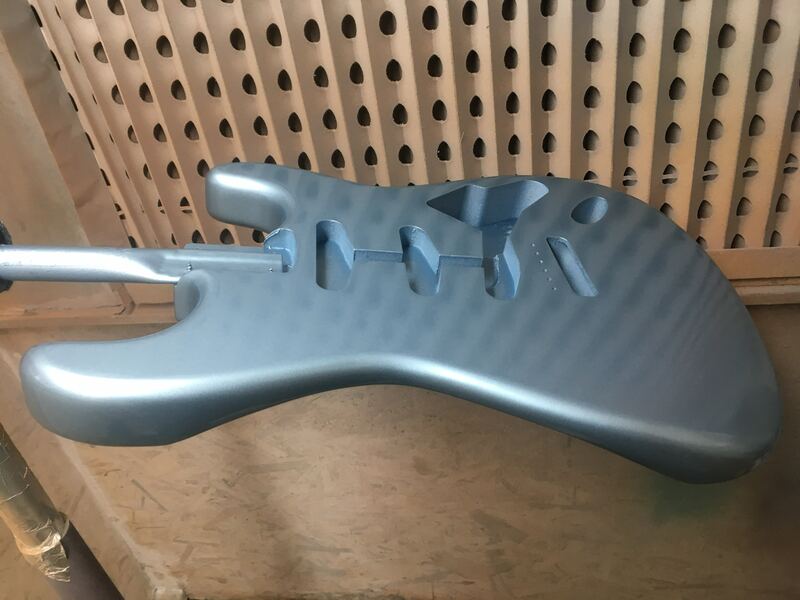 And finished this basket case strat refin... well not exactly basket case, but it was a bit of a state when it came to me. 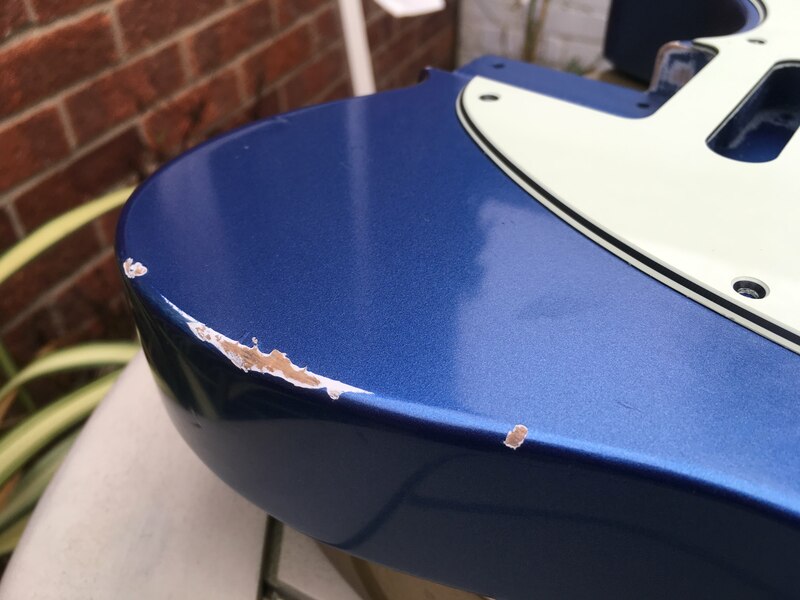 Had to rebuild the horns pretty much as had been stripped with heat and a metal scraper and already had a tonne of battle scars. 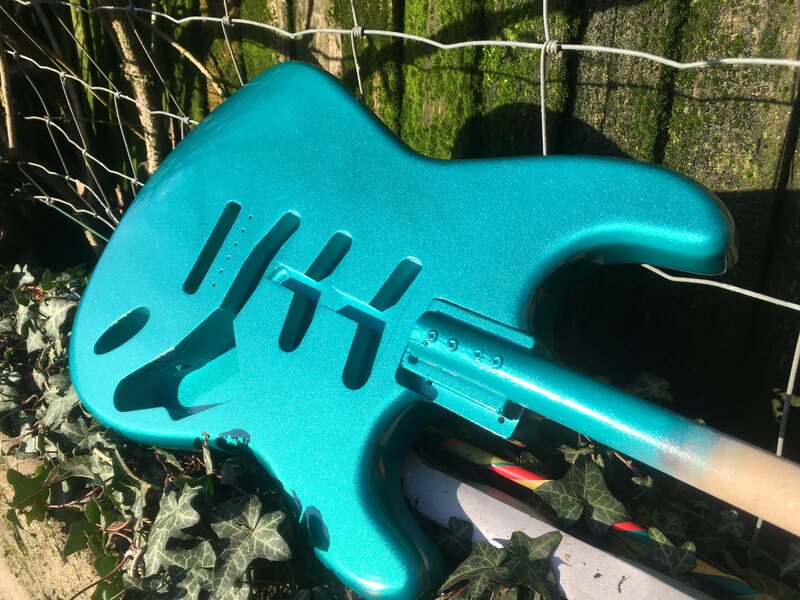 Now it's a cheap guitar with a very expensive looking paint job! Think the owner is going to be very happy. 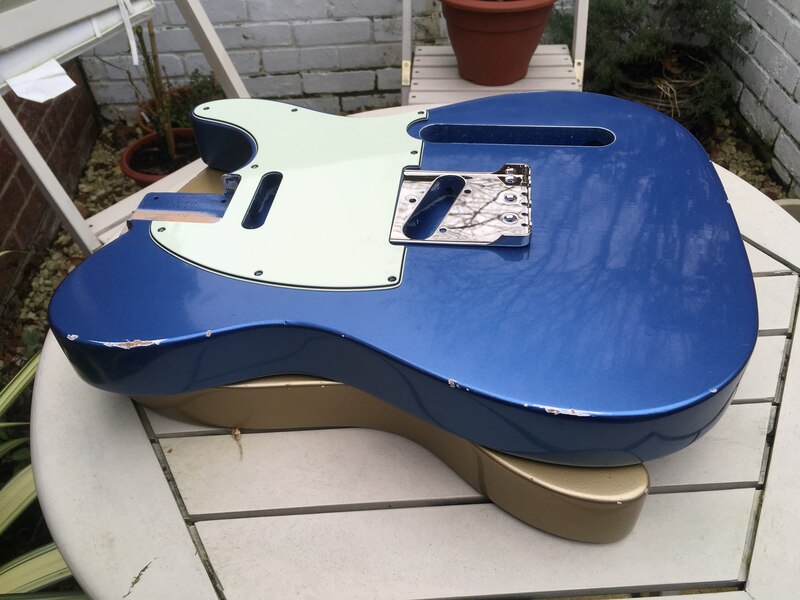 Been working on this beauty for @Flametop ... lightweight 2-piece alder body and a delicious Ice Blue Metallic finish. Should get final clearcoats on tomorrow or later in the week. Beautiful stuff there @rexter ;, bravo! 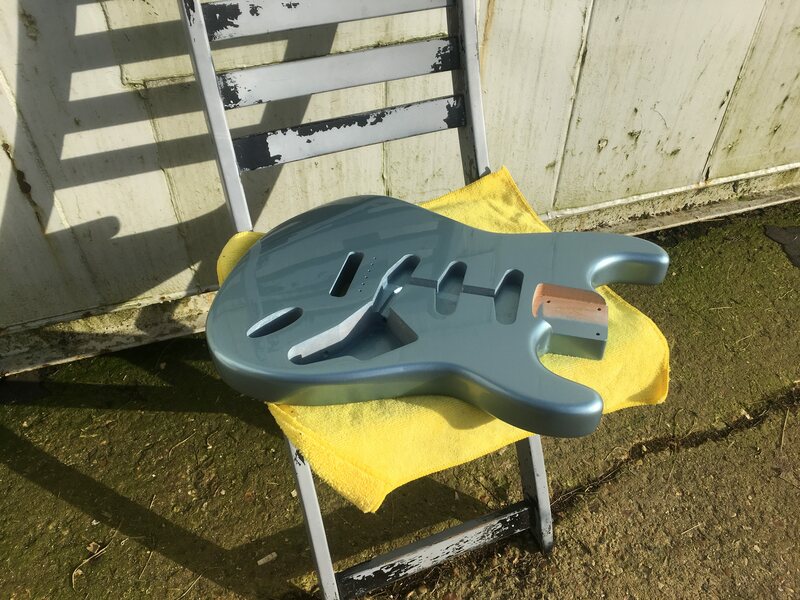 Been madly busy lately and not made it out to my workshop much at all, but did manage to get this lovely lightly aged Inca Silver body ready to send to @rze99 last weekend. 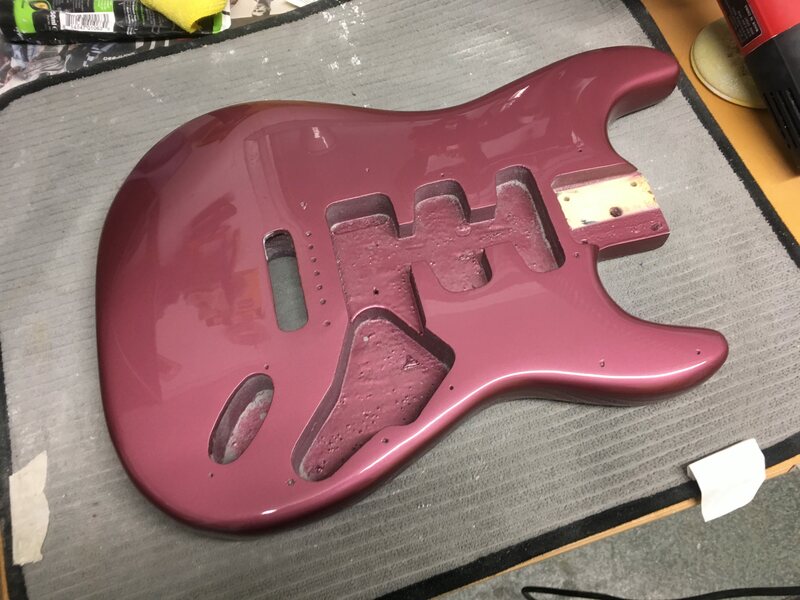 A little bit of tint really makes this colour a lot more exciting I think. At capacity until late March/early April by the looks of it. Wish I hadn't sliced my trigger finger wide open with a razor blade as soon as I got to the workshop this morning! Great to hear that you’re busy! 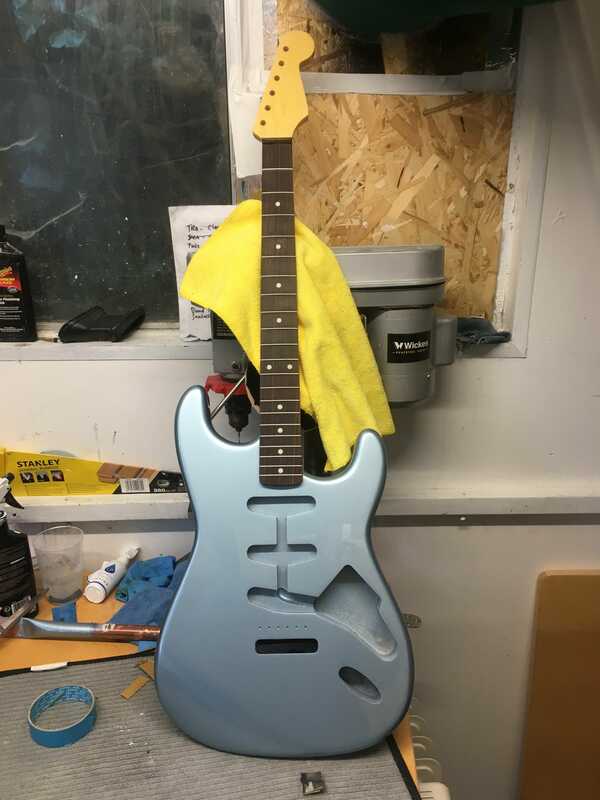 Very excited to get the body and neck now. 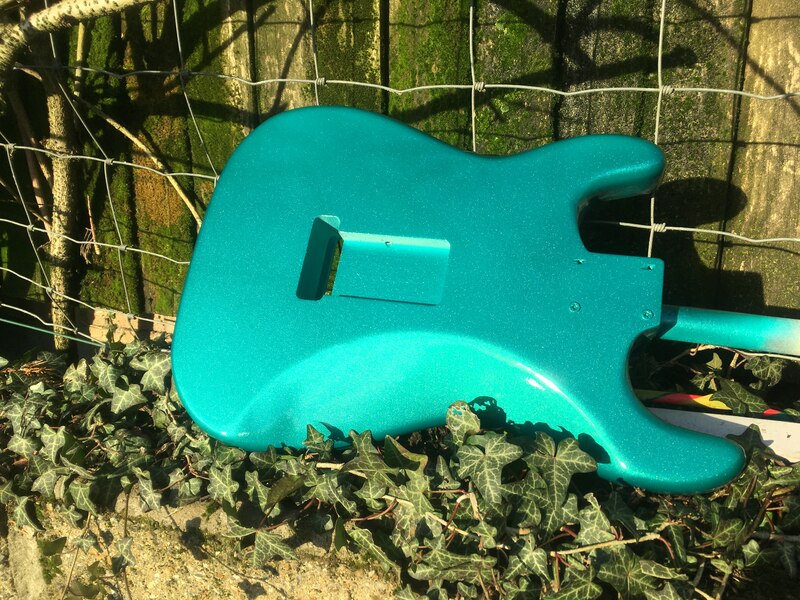 Pretty much finished up the Shergold bass body too. 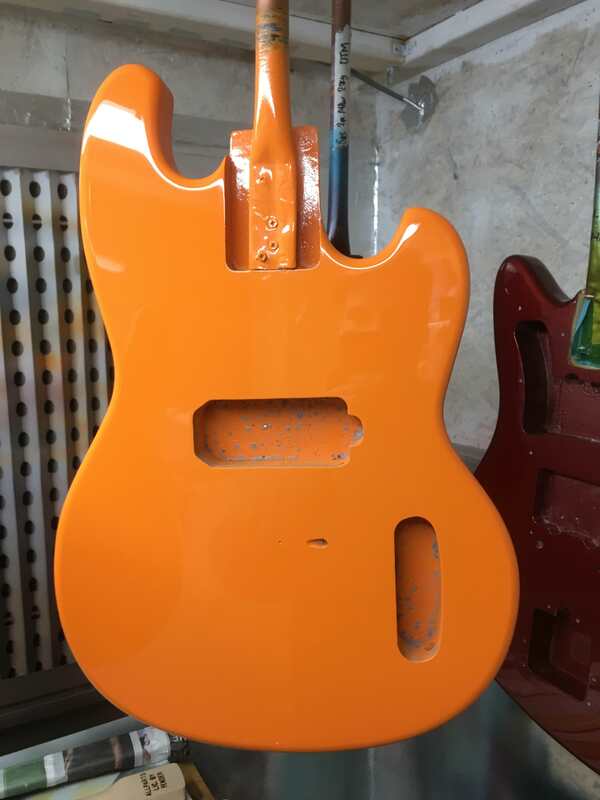 The orange came out nicely in the end! 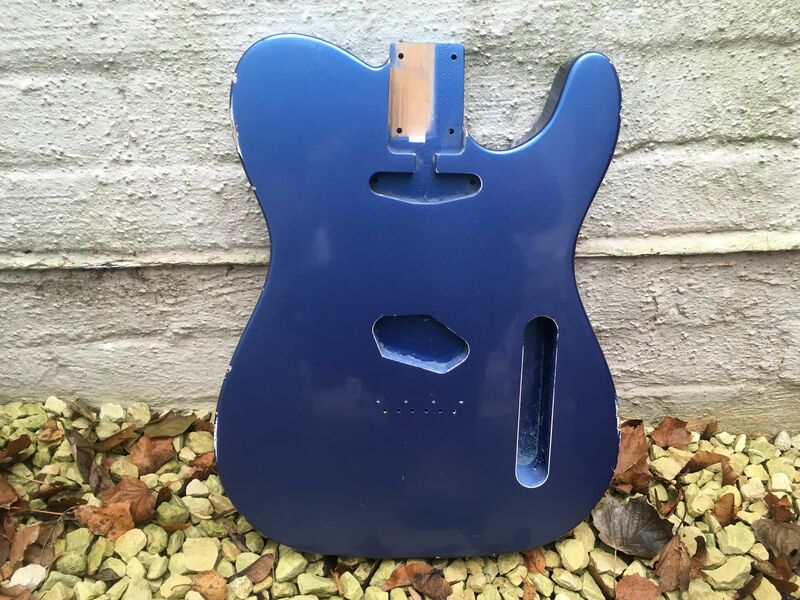 That relic blue tele looks amazing. Do you still have it? Thanks, yeah that one came out nicely! Sold on eBay last month. Can do another one for you if you want to send me a message sometime. Have a massive run of LPB jobs coming up so one more wouldn't be a problem! 12 hour day of prepping and sealing today and still more to do. 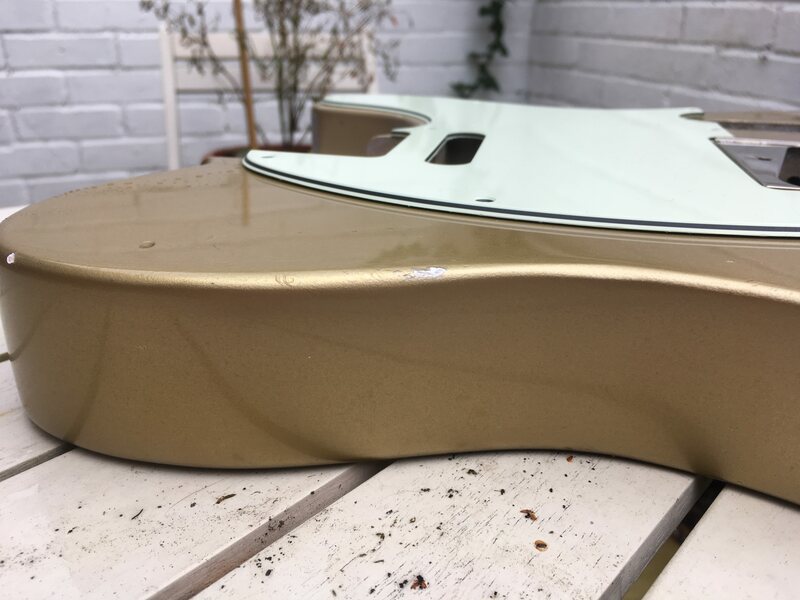 Good to have a lot of Jazzmaster and Jaguar bodies and refins in my next batch of orders... These ones are just hanging getting to the right temperature pre-sealer earlier today. 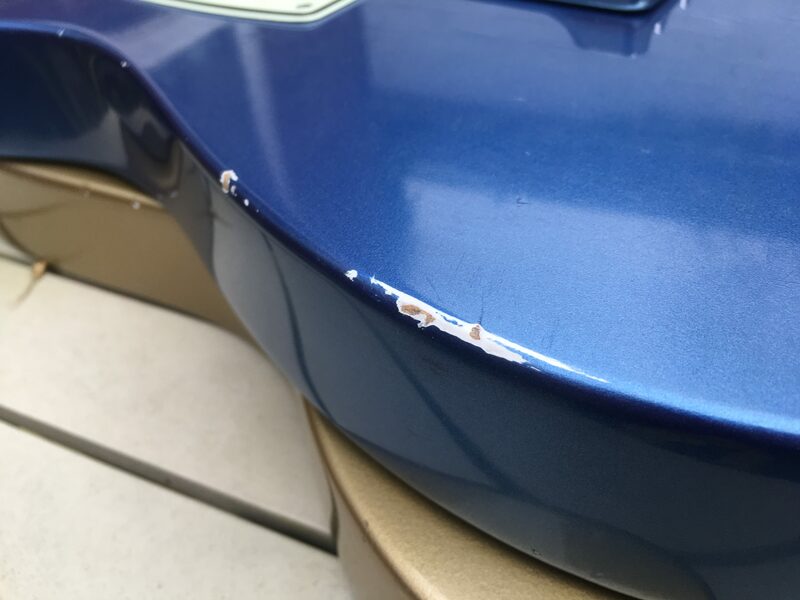 It's a 1-2mm thick layer of poly sealer - common knowledge now I guess, but still interesting to experience firsthand. 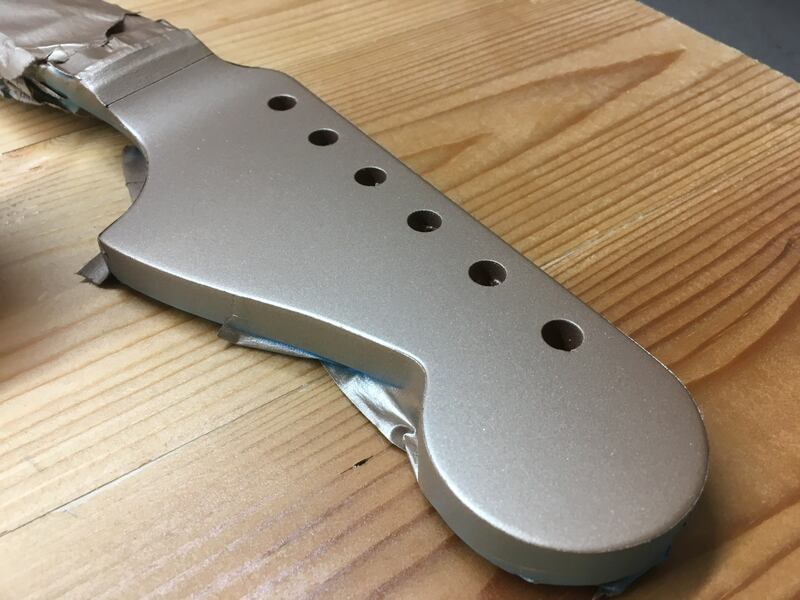 It pretty much just lifted off this JM with a gentle heat. Far easier than using stripper in this case. 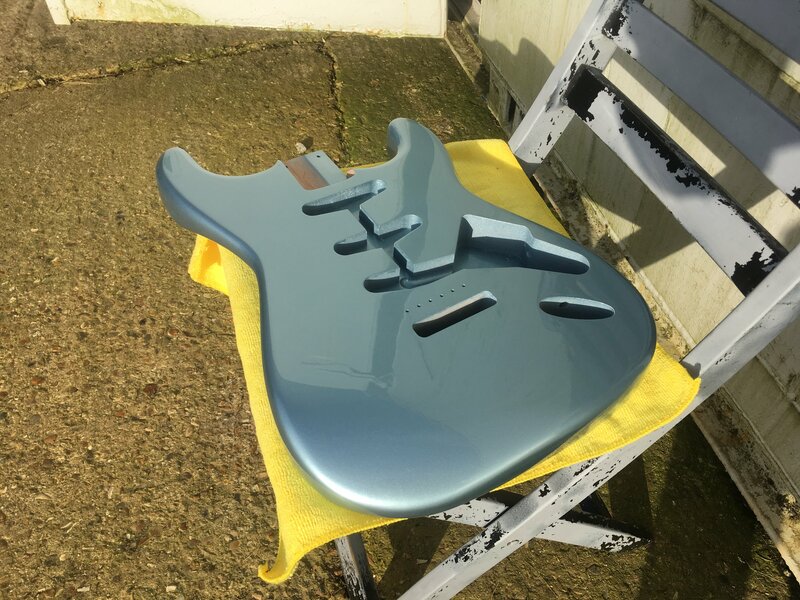 No major prejudice against such sealer-primer layers - they are actually a real dream to paint over - but the guitar has shed a few MM and a fair few grammes since this afternoon! 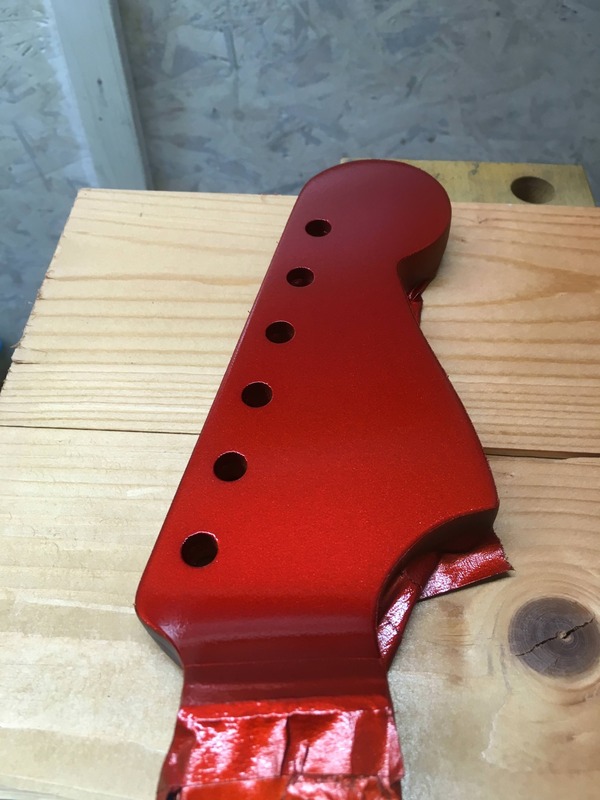 The amount of “nitro” finishes I have stripped which are nothing more than plastic nonsense is incredible. 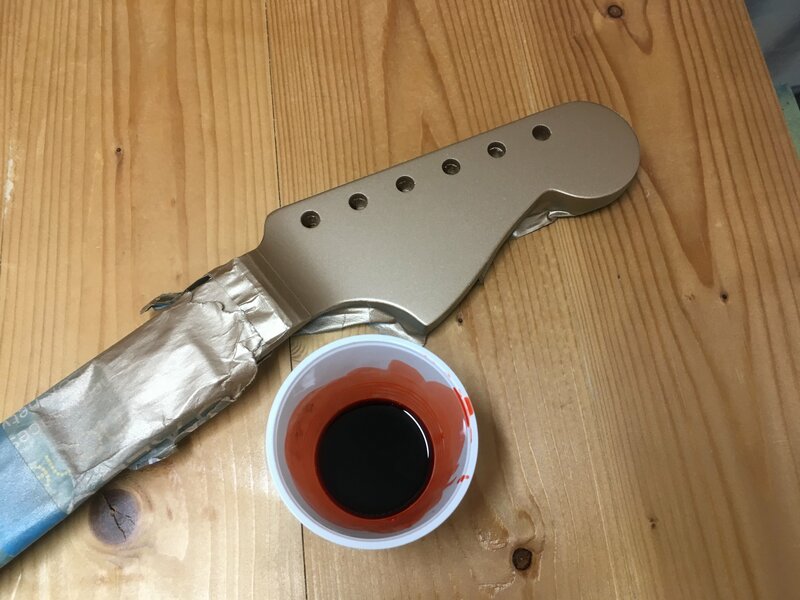 People genuinely believe they’re getting the real thing because that’s what the spec sheet said. False advertising much? !